REFLECT: What were the main points of Nehemiah's prayer in this chapter? 1 - Examine your three concerns from yesterday's workout. 2 - Identify which ones are also concerns of God. 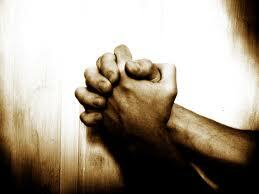 3 - Using Nehemiah's prayer to inspire your thoughts, write out your own prayer expressing the concern(s) to God. "O Lord God of heaven, the great and awesome God who keeps covenant and steadfast love with those who love him and keep his commandments."